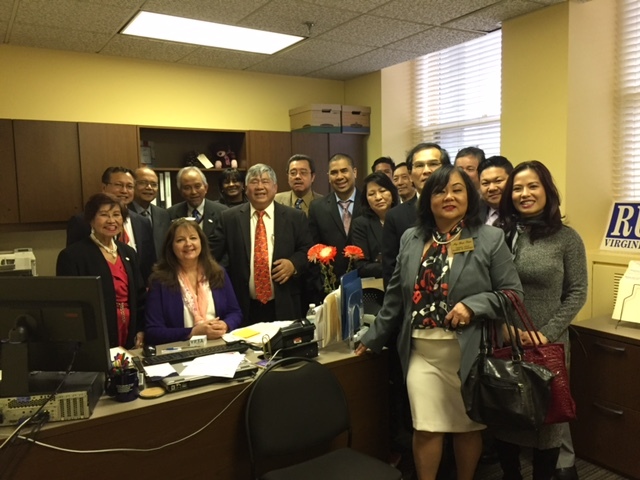 On February 1, 2017, VACC led about 25 Asian owned companies from various Asian countries to meet with Virginia state legislators to address issues in small business concerns on their behalf. VACC is the first and only state Asian Chamber with 7 regional offices across the Commonwealth with a growing participating membership in GA, NC, PA, MD, DC, and VA. 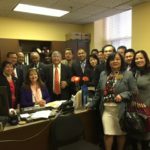 The State Asian Chamber – ” The Voice of Asian Business “- has been leading this effort since the past decade working with Asian companies and local groups from 37 Asian countries. At the Chamber Office at SunTrust Bank, we hosted a powerful Asian Legislative Forum commanding all top 7 candidates for Virginia’s Top Jobs (GOVERNOR and Lt GOVERNOR positions) for the upcoming 2018 election to come and present their platform to the Asian business communities under the umbrella of the Virginia Asian Chamber. Attendants are from all major and not so major groups (Korean-Vietnamese-Thai-Indian- Pakistani-Sri Lankan-Taiwanese-Chinese – Nepali- Bangladeshi-Filippino-Japanese- Laotian- Cambodian- Singaporean-Malaysian), various trade groups, and as a united group, they represent a vibrant economic power, at one venue, at that day, under the banner of the Voice of Asian Business”, the ” Asian American Business Assistance Center “, DBA ” Virginia Asian Chamber of Commerce”. Our national SBTN Televison Network covered the powerful event.